Home » Daytime Sleepiness, Hypersomnia & Fatigue » How does poor sleep factor into law enforcement on-the-job performance? Those who've chosen to give their lives over to the important motto, "To protect and to serve," may need to rethink their strategies when it comes to protecting their own health. This includes getting adequate sleep, which can directly impact their ability to live up this motto in numerous ways. Officer.com did not mince words when it posted”Graveyard Fatigue Can Kill You on January 3, 2017. 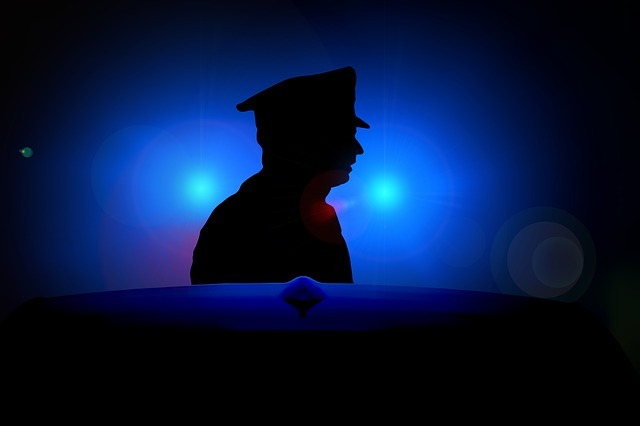 This succinct article highlights the realities of police officers working the night beat and should be a must-read for law enforcement personnel at every level. Also to address the topic was PoliceOne.com in their article, “How lack of sleep may cause deadly police errors: A recent study examined fatigue’s effects on 53 officers’ decision-making and reaction times when the officers were faced with deadly-force situations,” which appeared August 9, 2014. The National Institute of Justice published this excellent document back in 2009, with findings that are still relevant today and which should spawn further research if they haven’t already. Of special interest: “All of us experience the everyday stress associated with family life, health and finances. Most of us also feel work-related stress associated with bad supervisors, long commutes, inadequate equipment and difficult assignments. But police and corrections officers must also deal with the stresses of working shifts, witnessing or experiencing trauma, and managing dangerous confrontations. On January 21, 2017, Michigan Live reported a police officer fell asleep at the wheel after 4am and drove into the side of a house in Lake Orion, north of Pontiac. The risks for having a motor vehicle accident double with every lost hour of sleep, according to this December 12 report from the AAA Foundation for Traffic Safety study published by the American Sleep Association. This reality complicates the lives of shift workers like police officers, many who routinely work the overnight beat. Night shifts lead to circadian rhythm disorders that increase sleep debt (UCLA Health, May 25, 2016); like their sleep-deprived peers in healthcare, police officers also struggle with sleep debt and can’t always reclaim those lost hours of sleep between shifts. Sometimes, these night beats are scheduled among daytime shifts as well, further compromising sleep health for everyone; for police officers, this further increases their risks for having car accidents while on the job (Quartz, November 18, 2016). And there’s something about driving that inherently makes us sleepy… and which can inherently make night cops sleepy as well, if they don’t watch out (OptAlert, April 14, 2016). Last November in Parkin, TN, the new police chief was caught napping in his patrol car; further investigation reveals he was off duty and trying to catch up on sleep. He’d been pulling extra shifts because of the department’s workforce shortages since the town reclaimed its police department last June. Parkin had suspended the force in April due to budget issues, laying off nine officers, only six of which had been rehired at the time. (ABC-13 Eyewitness News, November 8, 2016). Meanwhile, in Kuala Lumpur, a police corporal has been investigated for losing his pistol, ammunition, and cellphone after falling asleep on the job He’d left the car running and the doors unlocked, according to the report in MalayMail Online (November 9, 2016). A police officer in Ottawa, Canada, was charged with impaired driving after he fell asleep at the wheel while on duty. While he was not driving at the time, and no accidents occurred, he was found by police officers answering a 9-1-1 call (Ottawa Citizen, December 5, 2016). Napping has been heralded as the best, easiest solution to this ongoing problem. On January 9, 2017,NBC-2 Culture Critic Michael Langan opined that the idea of public naps should be turned into something more socially acceptable in the US. Efforts to improve working conditions for those officers working odd hours is nothing new: Police Quarterly published this white paper, “Improving Shift Schedule and Work-Hour Policies and Practices to Increase Police Officer Performance, Health, and Safety” back in 2002, acknowledging even then the challenges of protecting health and safety for law enforcement personnel. How police officers engage with civilians is an ongoing discussion highlighted by the Black Lives Matter movement and other race-focused initiatives striving to reform law enforcement procedures and protocols to prevent bias and profiling on the job. While this is a robust and necessary discussion, might race be only part of the dilemma? Psychology Today published an interesting article (October 3, 2016) about a recent study showing the impact sleep deprivation can have when it comes to feeling empathy. “That could have practical implications in a wide range of situations, whether you’re responding to your partner’s hurt feelings in an argument or dealing with a client’s frustrated feelings while fielding a complaint at work. It suggests that you may be less prepared to handle such situations when you haven’t slept well,” writes the study’s lead author Veronica Guadagni, MSc.